Just in time for Father's Day, CafePress is discounting everything on their site. Save up to 60% and get FREE shipping on all orders with code SEND. What's CafePress? "CafePress is where the world shops for custom t-shirts and other unique gifts that express people's unique personalities. You'll find millions of one-of-a-kind designs on every topic you can imagine (and some you can't) - from political expressions, funny t shirts & stickers, to all sorts of merchandise with cool personalized designs." Get a personalized mug, a witty t-shirt, that cell phone cover that expresses your love for Hello Kitty, a flask that says you'll join AA next month... the variety and savings are a click away. 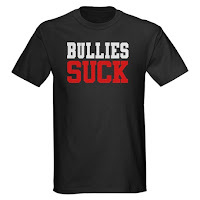 Click here to go to CafePress, but don't forget code SEND to get the FREE shipping.